Known as the "sugar destroyer"
Gymnema can be used as a part of your diet to support blood sugar already within the normal range and also to reduce sugar cravings. The herb reinforces the efforts of the pancreas to store sugar in the muscles for later use as energy. 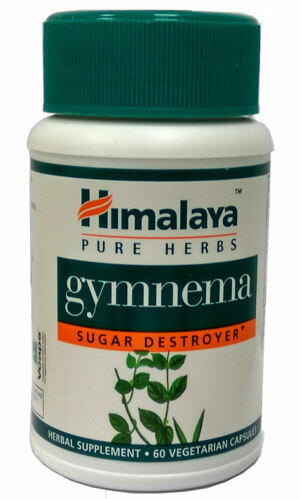 Gymnema's unique plant compounds interfere with the absorption of sugar in the intestines and reduce excess exposure to simple carbohydrates. Gymnema also promotes the normal lifespan of pancreatic cells which are necessary to naturally maintain blood sugar levels already within the normal range. If you want to support your body's normal weight and blood sugar levels already within the normal range, try Gymnema, the weight-supportive product containing no stimulants or thermogenics! One capsule twice daily before food or as directed by your physician.